JUST when you thought you had seen everything in the beautiful game, up popped Barcelona. Not even the most fanatic of supporters of the Catalan club would have given their team any chance of getting anything out of its last-16 clash with Paris St Germain after going into the second leg of the Champions League tie at the Nou Camp 4-0 down. 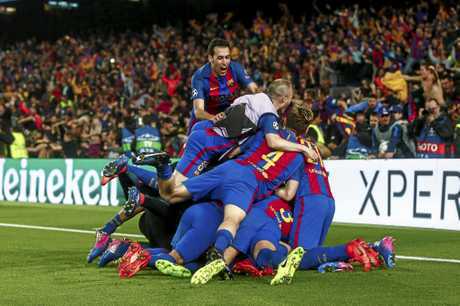 Manager Luis Enrique had said the day before that if everything went his team's way he believed something incredible could happen. 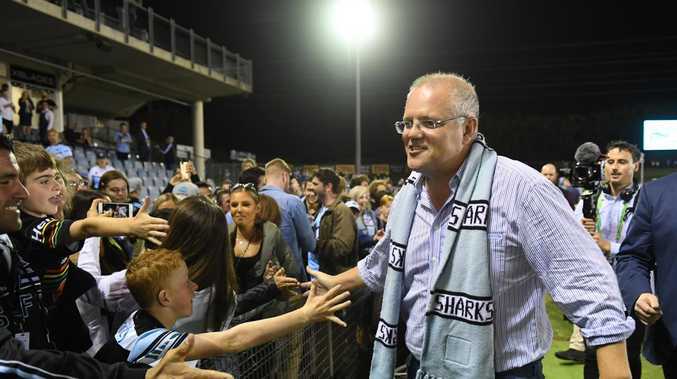 But that was probably more bravado on his part than belief his team could comeback from such a deficit, especially after the way it had performed in Paris a fortnight ago. Most pundits and punters had written Barca off. Surely a team of the class of PSG, with players such as Edison Cavani and Angel Di Maria in its ranks would not let what would appear to be an unassailable lead disappear? Enrique and his team needed everything to go right if they were to achieve what appeared to be the impossible dream. And it did. A packed Nou Camp was full of belief when Luis Suarez scored after three minutes and the dream was even more alive when Layvin Kurzawa scored an own goal, following Andres Iniesta's backheel just before the break. Neymar was then awarded what appeared to be a soft penalty when he fell over a prone Thomas Meunier just after the break, with Lionel Messi making it 3-0 from the spot. The almost 100,000 in the stadium was brought back down with a bump when Cavani thumped home an away goal, leaving the home team requiring three goals in eight minutes. Surely not even the famous trio of Messi, Suarez and Neymar - collectively known as MSN - could get Barcelona out of this hole? Neymar's brilliant free-kick appeared just to be mere consolation on 88 minutes but then when Suarez was bundled over in the box and the Brazilian fired home the penalty, suddenly the dream was alive again. Paris St Germain's players looked like rabbits in headlights but even then the home team needed a miracle in the dying seconds as the game went into five minutes of added time. 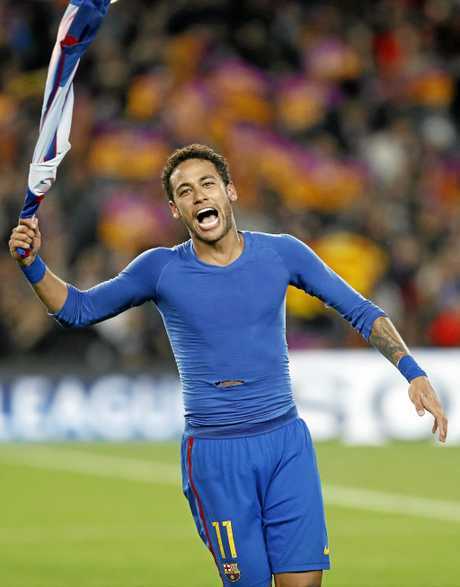 Fittingly, it was Neymar who provided the cross for the winner and perhaps even more fittingly it was Sergi Roberto, a Catalan player who came through the Barca academy, whose outstretched right boot steered the ball home for the most unlikely winner. The unbelievable win was the first time in Champions League history that a team had comeback from a 4-0 deficit. 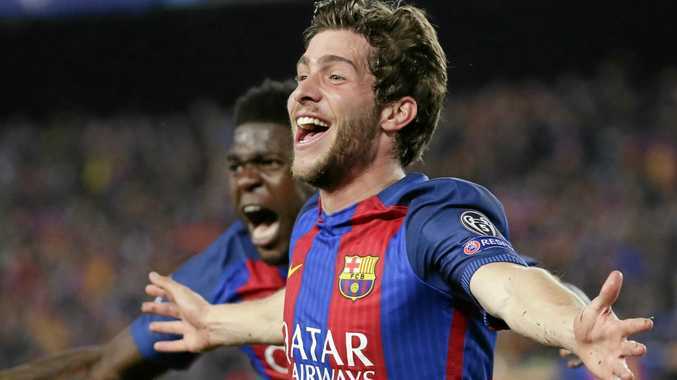 It also means Barcelona are into the quarter-finals of the competition for a record 10th year running. Seeing is believing, they say, but those who were there and who watched on TV around the world are probably still shaking their heads in disbelief. But it did happen and the dream finally came true for Barcelona players and their fans. Spare a thought for the Paris St Germain followers, whose Champions League dream just turned into a nightmare of epic proportions.